Russell Fink is twenty-six years old and determined to salvage a job he hates so he can finally move out of his parents house for good. He's convinced he gave his twin sister cancer when they were nine years old. And his crazy fiancée refuses to accept the fact that their engagement really is over. Then Sonny, his allegedly clairvoyant basset hound, is found murdered. The ensuing amateur investigation forces Russell to confront several things at once-the enormity of his family's dysfunction, the guy stalking his family, and his long-buried feelings for a most peculiar love interest. 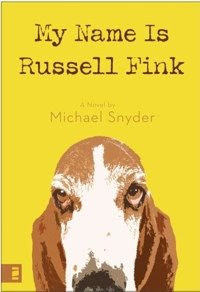 At its heart, My Name is Russell Fink is a comedy, with sharp dialogue, characters steeped in authenticity, romance, suspense, and fresh humor. With a postmodern style similar to Nick Hornby and Douglas Coupland, the author explores reconciliation, forgiveness, and faith in the midst of tragedy. No amount of neurosis or dysfunction can derail God's redemptive purposes. Michael Snyder has such a great writing voice, it jumps out at you as soon as you start reading. 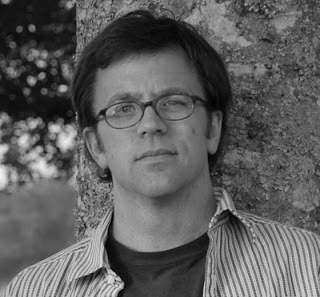 I was completely drawn into Russell's personality, situation, and family. The story is full of quirkiness and humor that Ray Blackston fans will love. It's so much fun to have Mike as a member of MTCW--he has such a unique voice and take on storytelling that it inspires the rest of us to look beyond our preconceived ideas of genre and what's "acceptable" in the CBA. I can't wait to read this book!